Welcome to a weekly feature here at Movies With Abe. After spending a number of weeks looking at actors who tend to play the same characters, it’s time to spotlight two films with eerily similar plots that came out at roughly the same time. There are surprisingly more examples than might be obvious, and this series will examine the similarities and differences between the two (or three), and how their simultaneous releases affected each other. The similarities: Both were PG-13 thrillers about women experiencing very bad flights with not a friend in the world to defend them from the dangerous people threatening their lives. 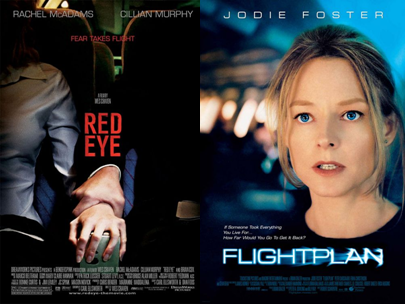 The differences: Rachel McAdams was cornered and manipulated by Cillian Murphy’s cold-hearted kidnapper mid-flight in the former film, and Jodie Foster saw her daughter disappear on a plane and found herself the only one who even knew she was on the plane in the first place in the latter. 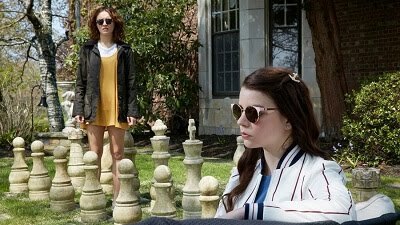 The former was considerably more chilling and engaging, while the latter was based on a considerably more far-fetched premise that was far less appealing once its secrets were revealed. The releases: Both films were released in about the same number of theatres. The former flew under the radar with a $58 million take, which was more than twice its budget. The latter made $90 million domestically, which wasn’t quite twice its budget. Reviews were more favorable for the former. Which one is more likely to be remembered? Neither, actually. Foster’s film is a forgettable entry altogether, and most would consider “Red Eye” to be a B-movie, though it does feature excellent performances from both McAdams and Murphy.